Some of you properly already saw this at Design Sponge when we guest blogged there, but since I have done so many kids-related posts lately I thought this would fit right in. Later this week I have a new visit for you. 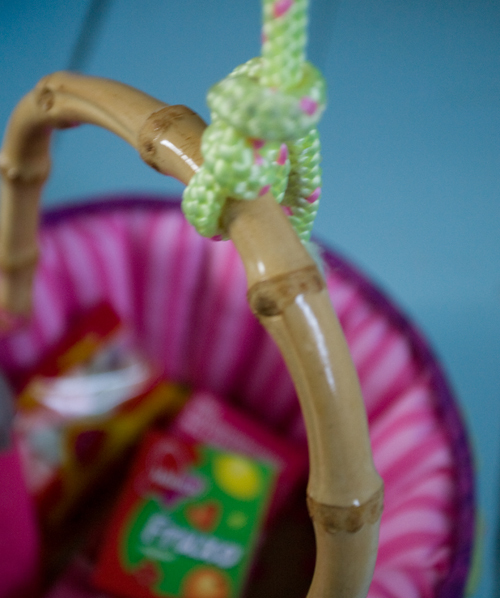 Viola´s grandmother made her this basket, she is a very talented and crafty lady, but you could use any basket. Size or shape. We bought some rope, screws and a pulley at the local hardwear store. 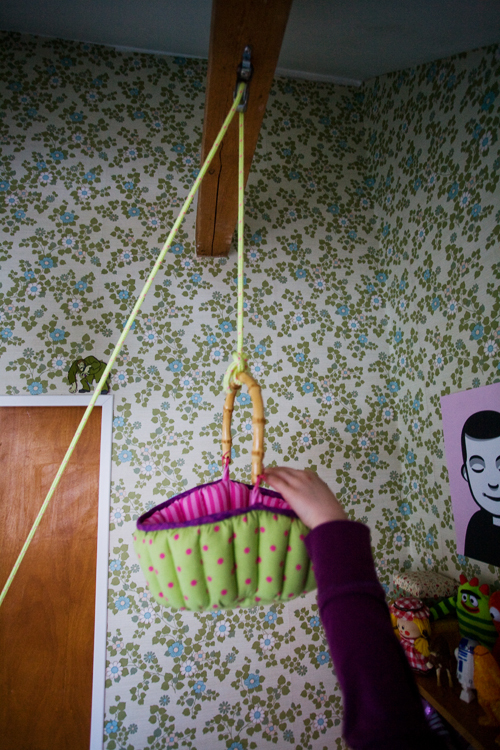 Tied the rope to the basket and attached the pulley to a beam in the ceiling of her room. You can use the same principal on a regular ceiling or outside in a tree. For safety precautions make sure to use small screws that would not be able to hold anything heavy. 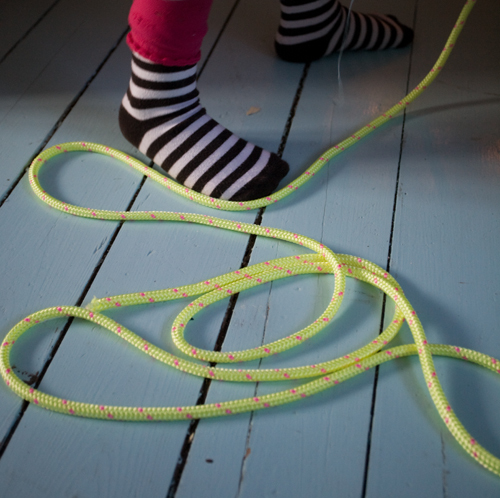 And tell your kids about the hazards surrounding a rope or even better don´t let them play unattended. Next time Viola is going to have a friend over she is going to prepare the basket with some snacks. 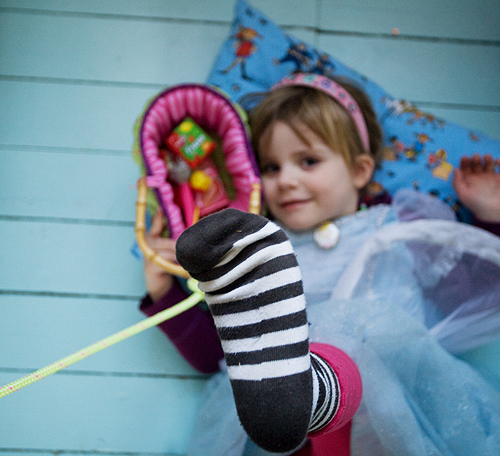 And when her little friend is in the mood for a snack Viola will swing the secret basket down in a blink of an eye. I love the colors og Viola’s basket! Hello. Just visiting to let you know the images in your RSS feed have been broken in my reader for the past several posts. I will try unsubscribing/resubscribing but wanted to pass it on as maybe others are having the same problem? I have the same problem as Martha describes. The photos will not show up in my google reader anymore. Jenny answering: I am so sorry to hear this. I will look into it. Thanks for letting us know. What a great idea. I remember as a kid that they very top shelf in my closet was my secret hiding place that no one was suppose to see or touch! 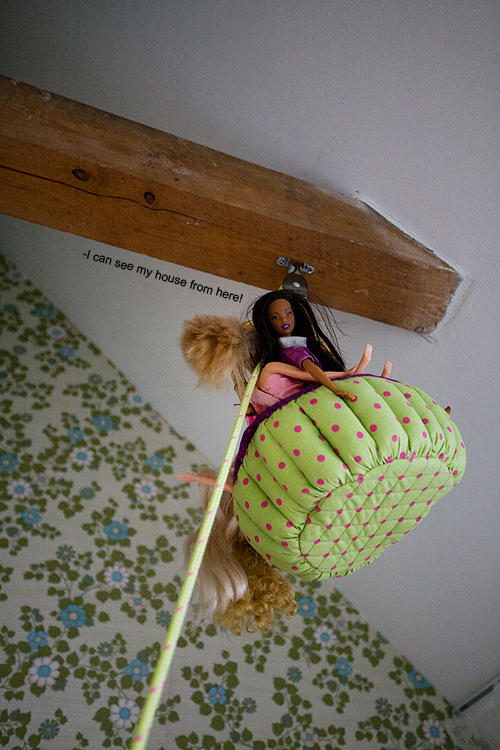 I collected all sorts of things and hid them up there. I think kids need their own little piece of privacy and secrecy. this is so sweet…what a great and easy idea. i think i will have to make one for my kids rooms once we finish the reno’s. Mee too, the photos aren’t showing in Bloglines. Thank you for the basket idea! 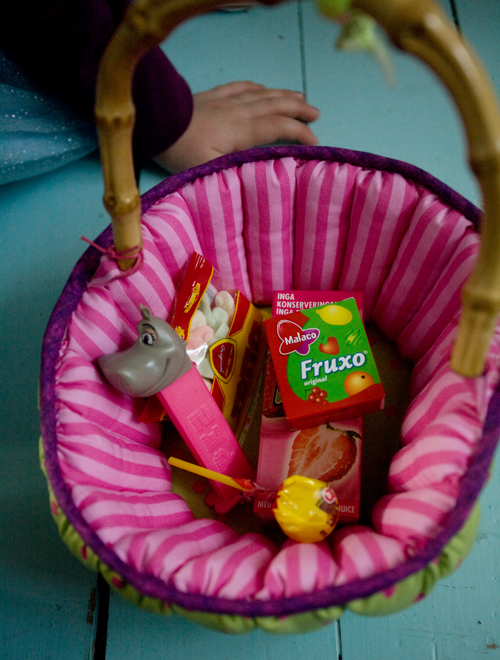 After reading about Viola’s secret basket, we had to install one for my son’s 5th birthday! 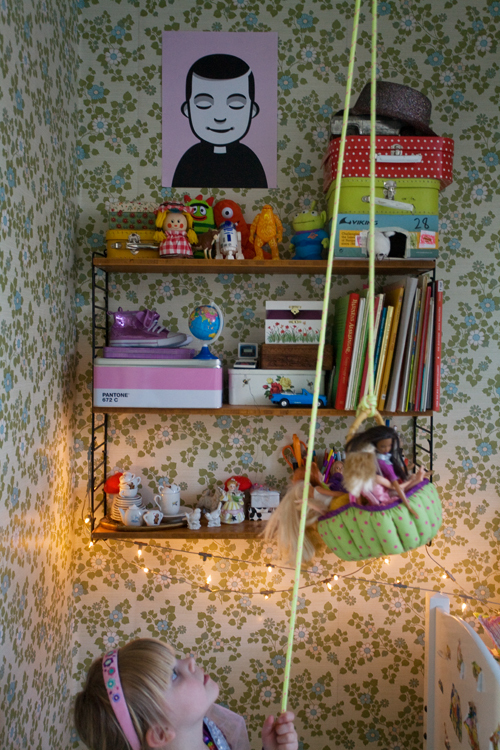 It’s in his room, and is helping him keep his treasures away from his 2 year old sister. He loves it! Thank you for the fantastic idea. Jenny answering: This makes me so happy. How fun! Viola is loving hers still. Do send me a photo of it if you ever take one. Your daughter, Viola, is so cute! She really looks like you!